Boil lasagna sheets with 1 tsp salt and 1 tbsp oil in hot water. Heat oil in wok, add onions and fry a little. Add minced chicken, mix and cook for a while. Add salt, ginger garlic paste, red chilli powder, cumin powder and all spice powder. Mix well. Cover pan for 5 minutes for steam-cooking (dam). Once water is dried and oil appears on top, add maida flour. Mix and cook for 2-3 minutes. Cooked chicken for lasagna is ready. Grease a medium-sized rectangle ovenproof pan with cooking oil. 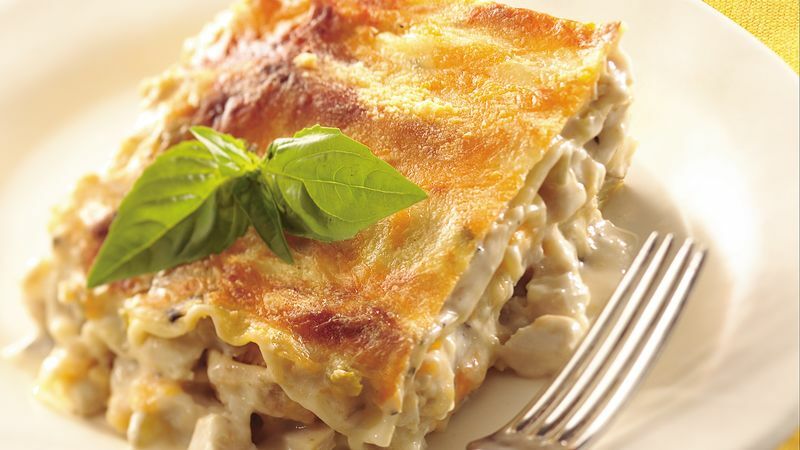 Lay 3 sheets of lasagna and pour half of the cooked chicken, half cup cheese sauce and half cup tomato puree and spread throughout the sheets. Sprinkle half cup of grated cheese across lasagne sheet. Place other 3 sheets of lasagna, pour and spread all ingredients as used while making first layer. Add remaining grated cheese and tomato ketchup. Bake in oven until the cheese is melted. Wow, delicious lasagna is ready. Serve with tomato ketchup and enjoy! Preheat oven at 200 deg. Yeah This dish is very tasty. I like it too much. hmmmmmmmmmmm aj hi bnani paray gi ye. zarur khilaaon gi. ap bus wait karen paknay ka.